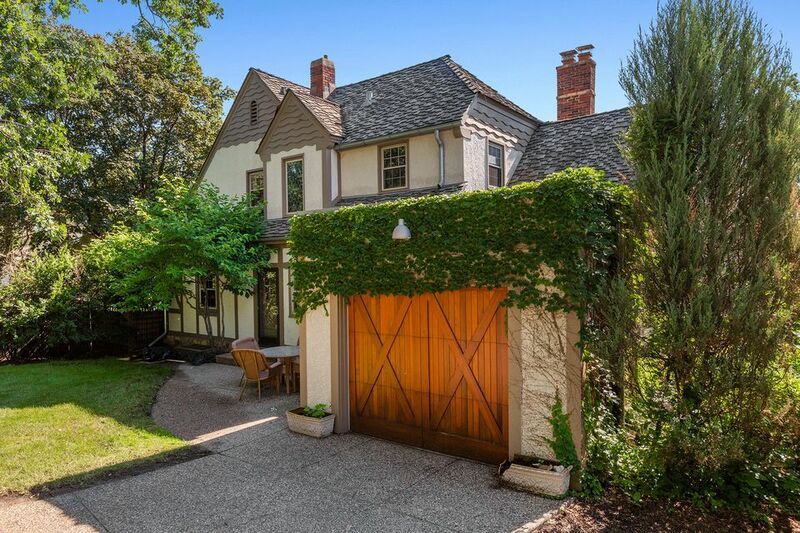 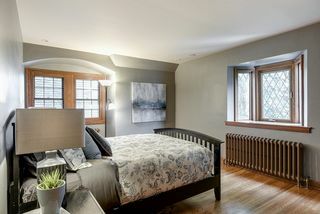 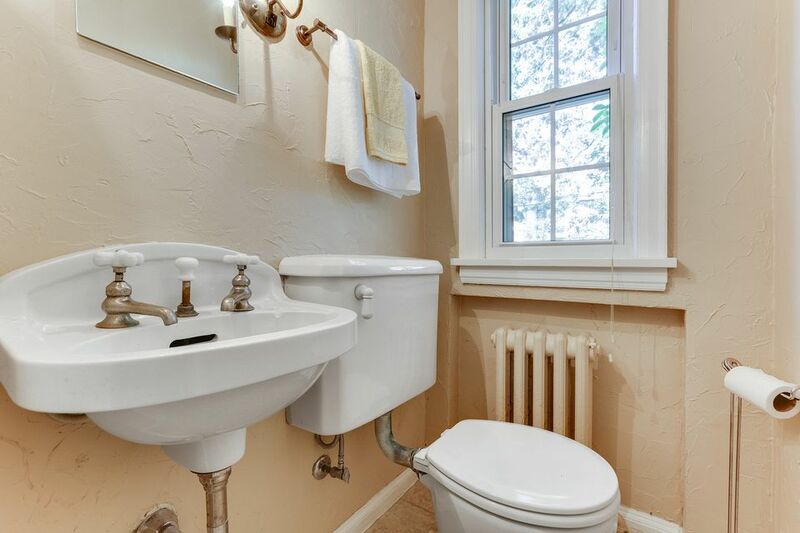 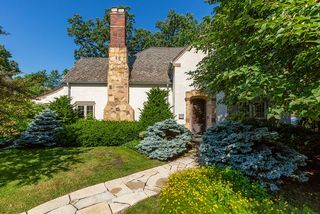 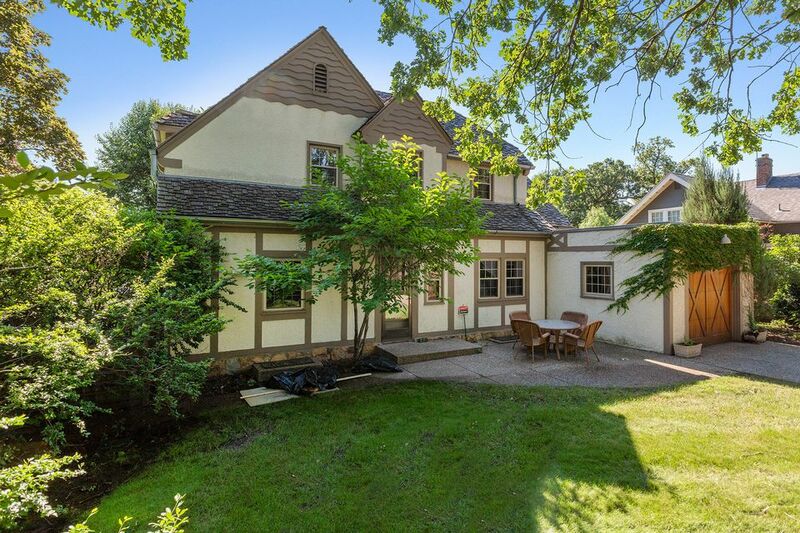 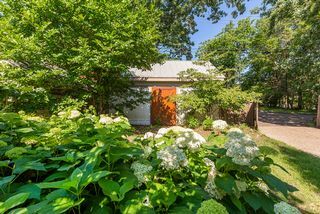 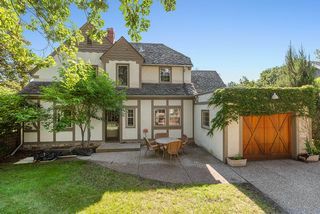 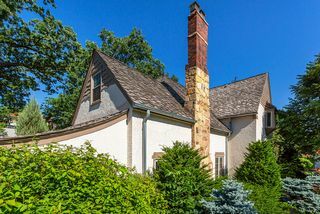 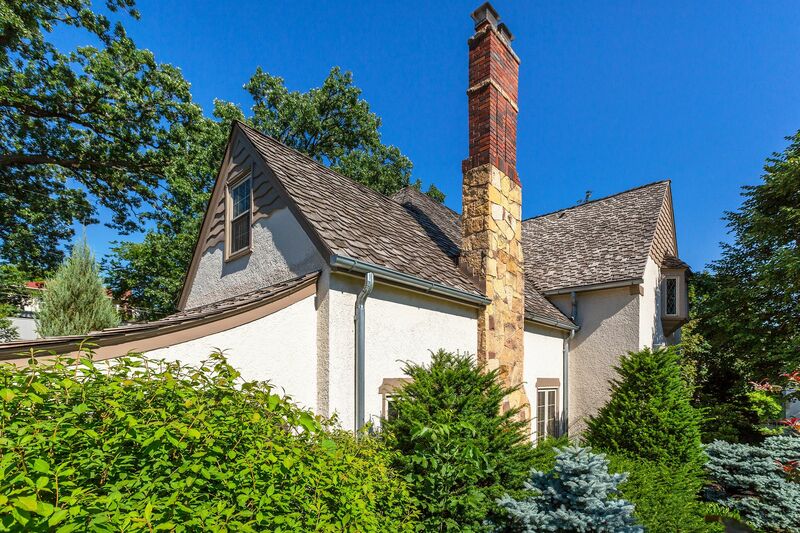 Classic Tudor character, move-in ready! 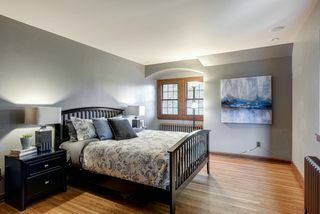 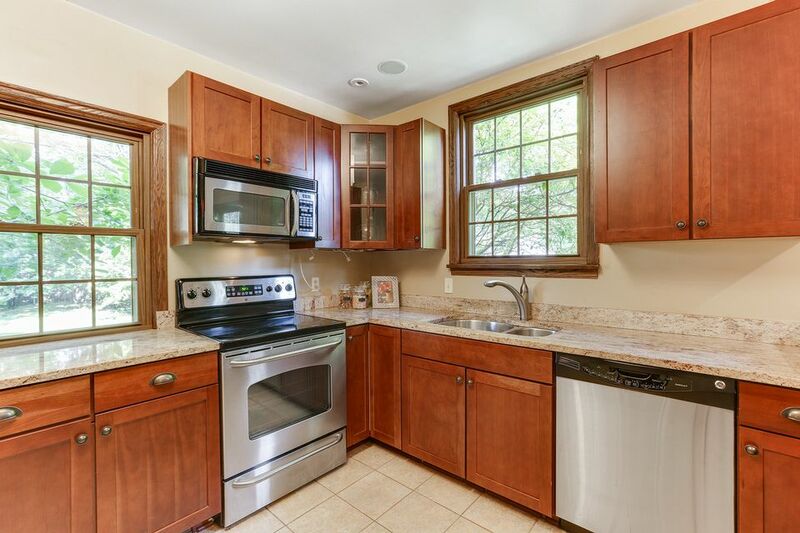 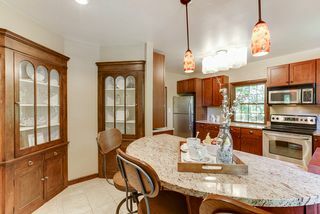 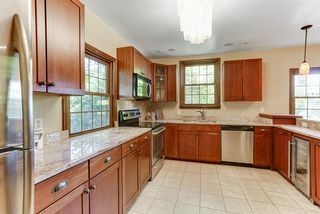 Beautiful mill work, French lead doors open to dream eat-in kitchen featuring master craftsman cabinetry, wine fridge, granite counters, stainless steel appliances. 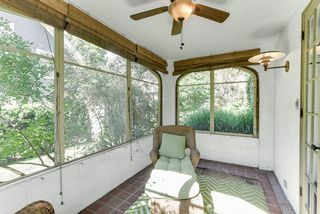 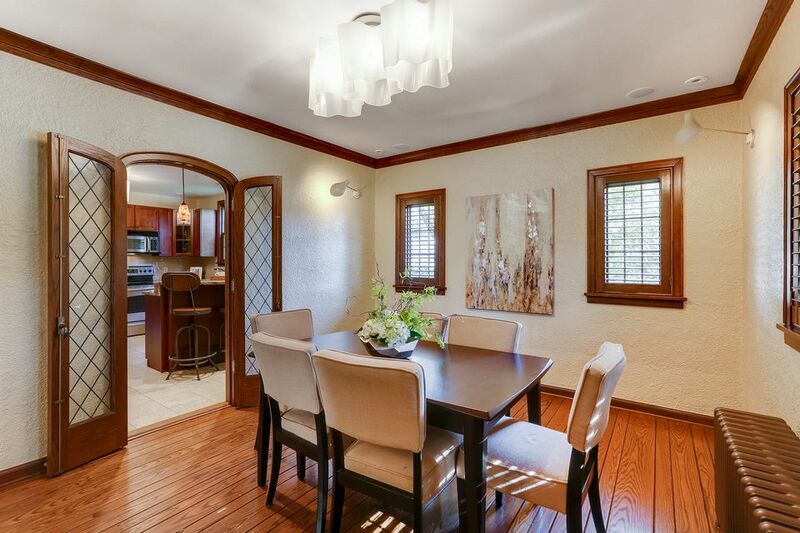 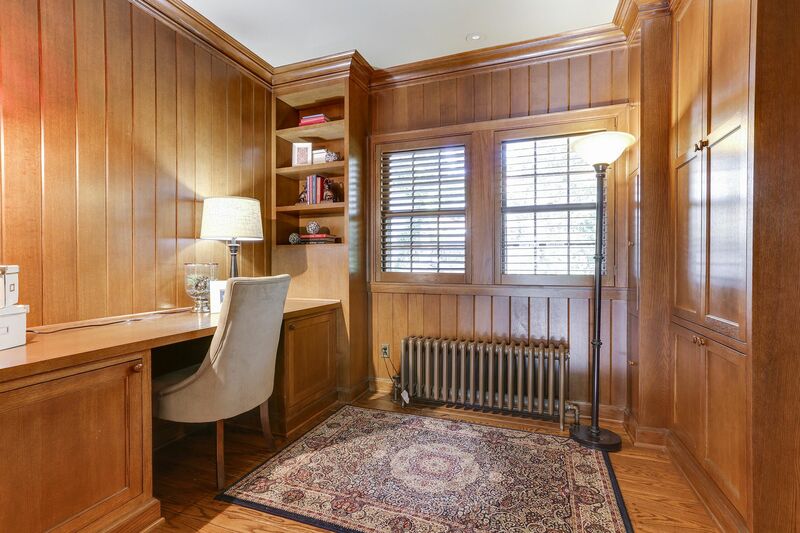 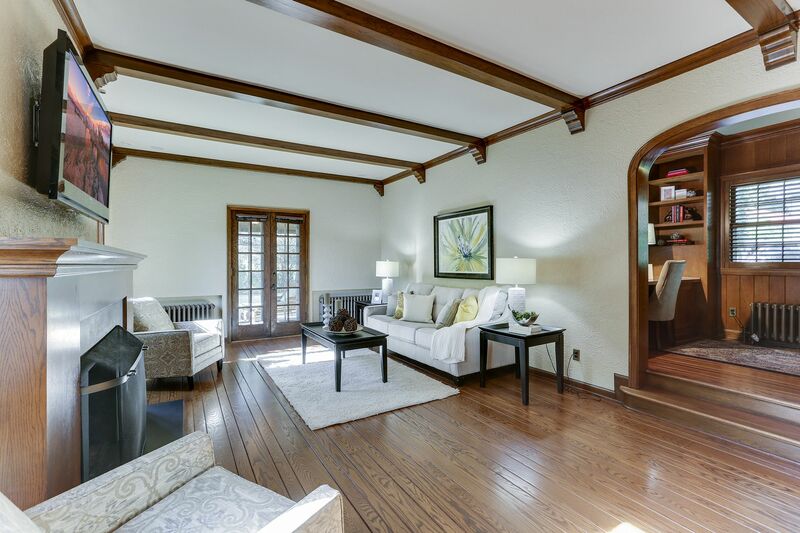 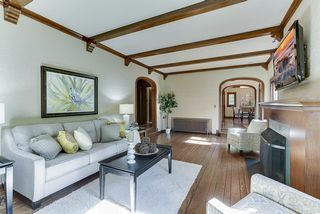 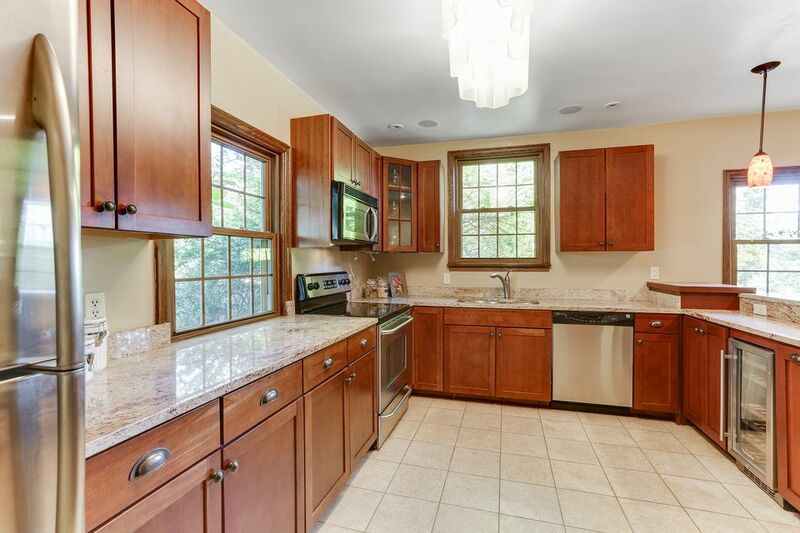 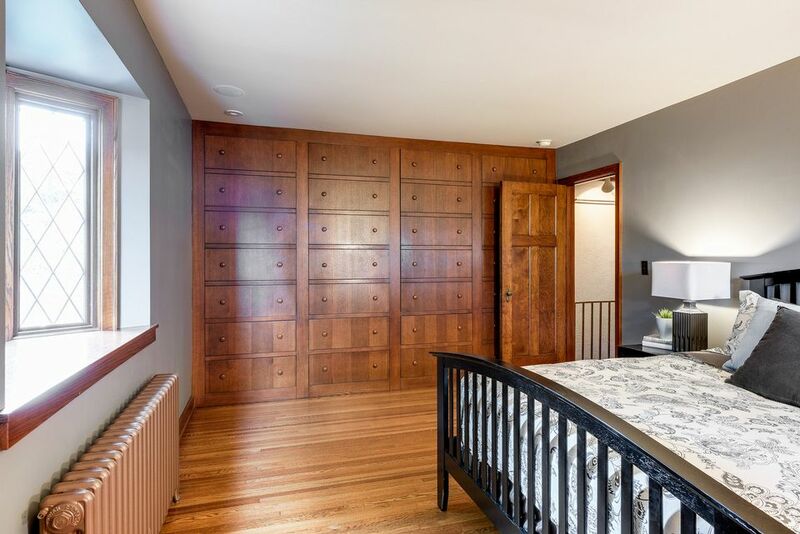 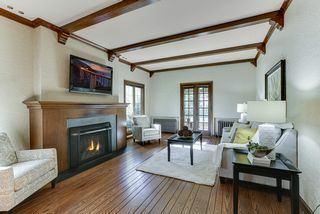 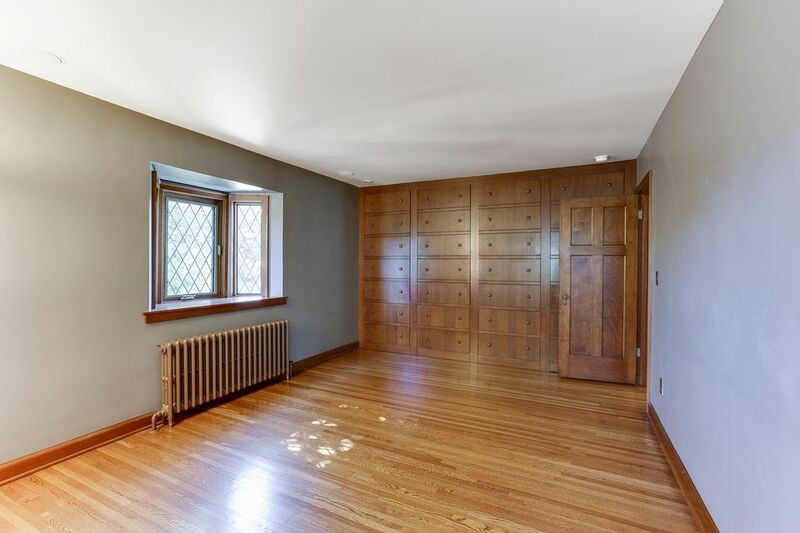 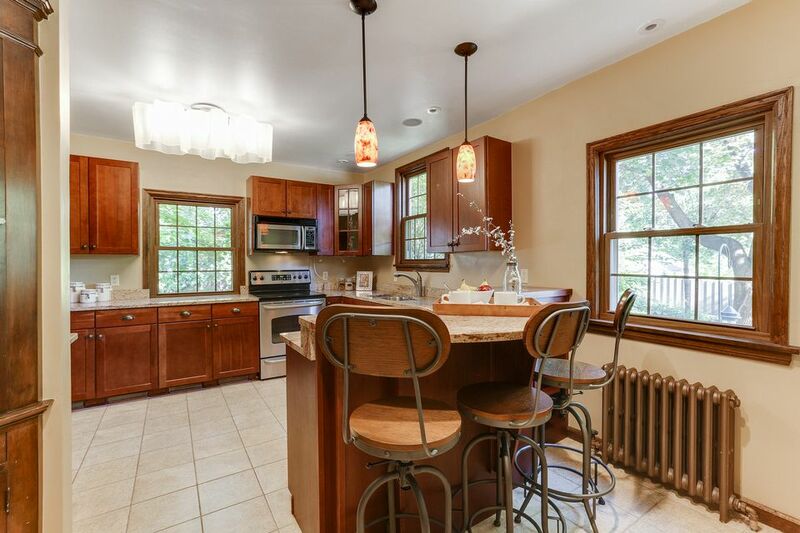 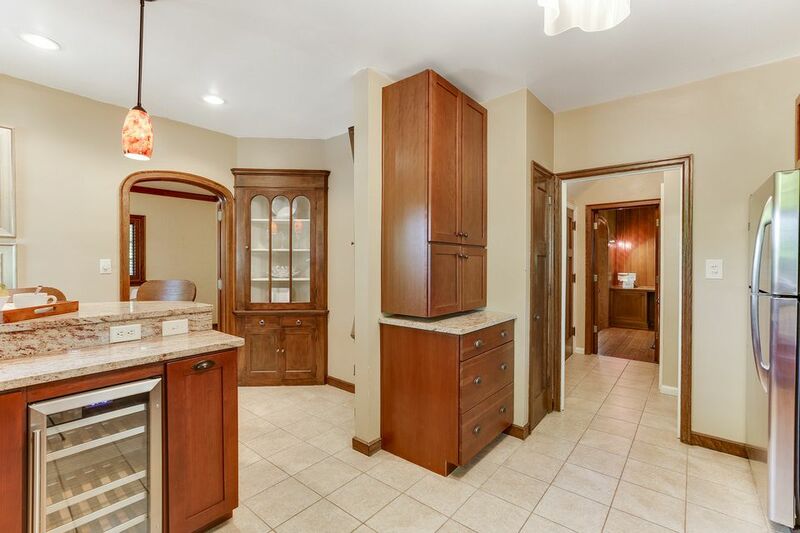 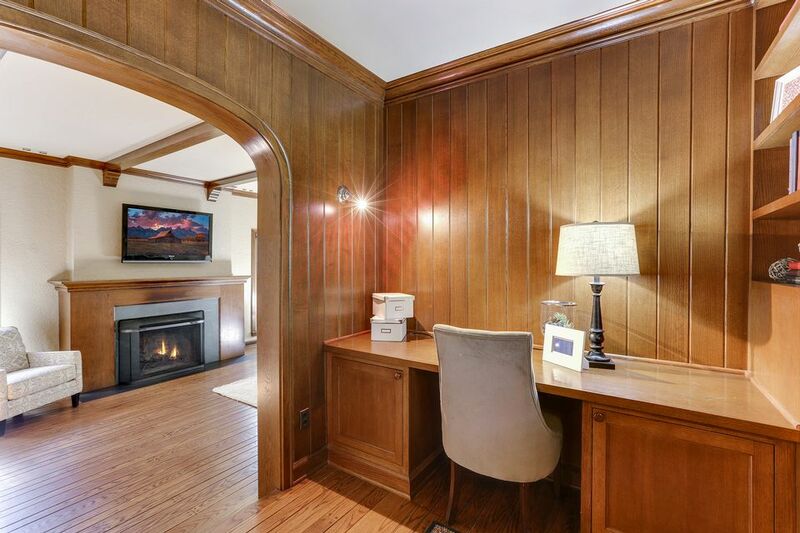 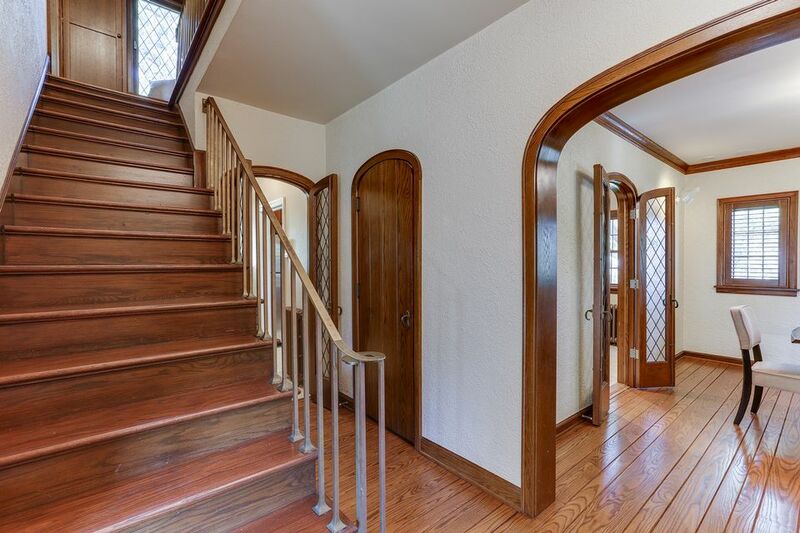 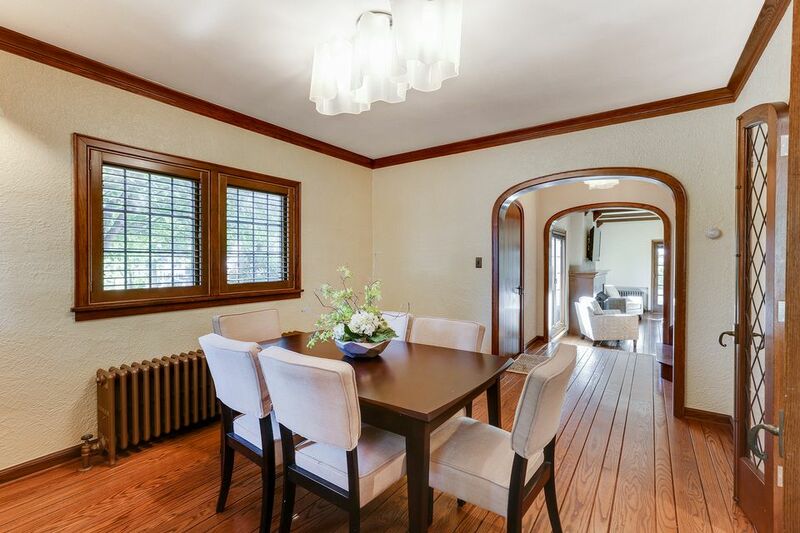 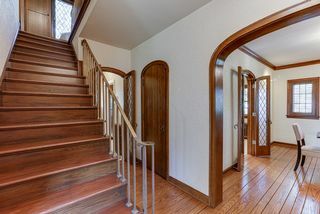 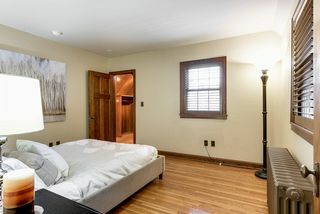 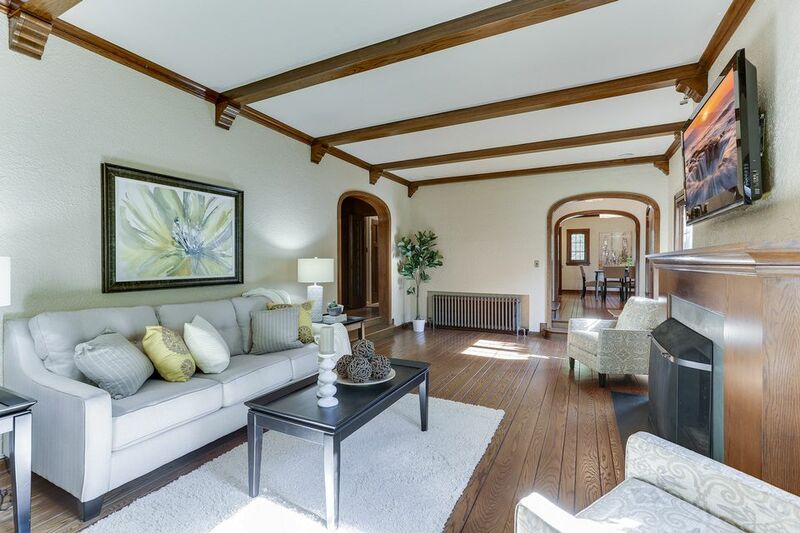 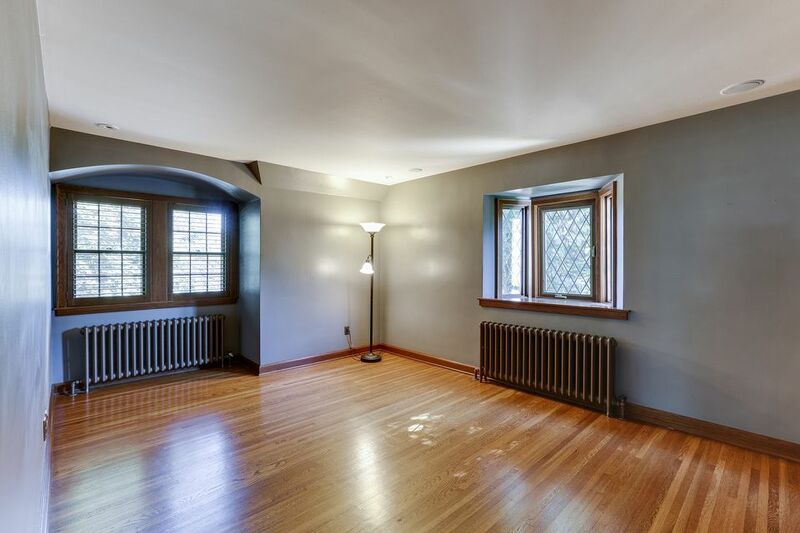 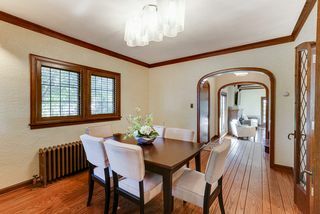 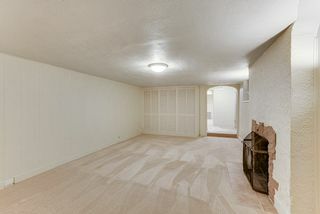 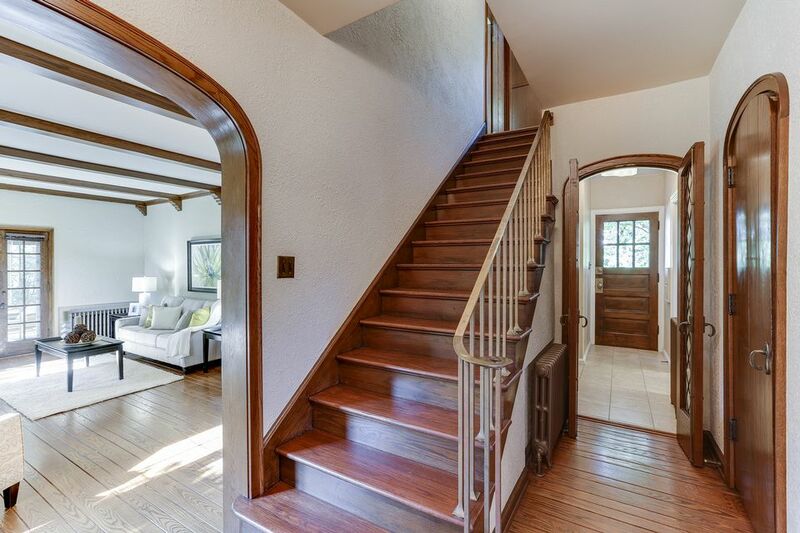 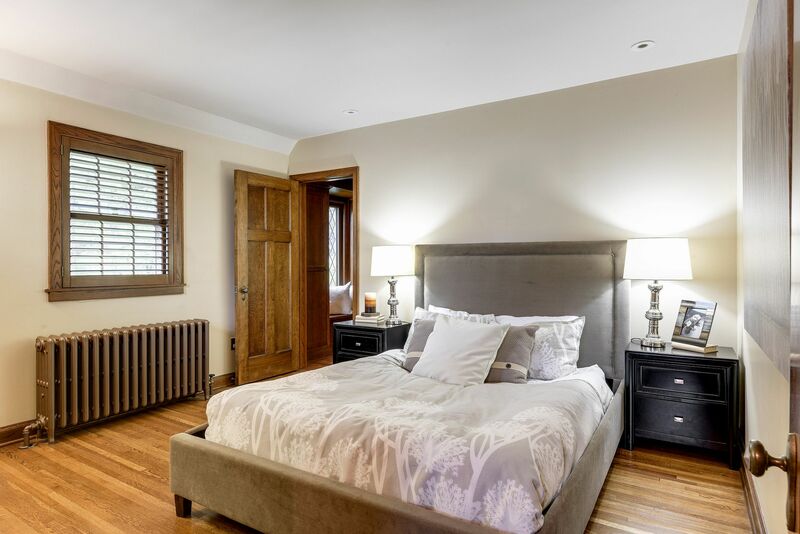 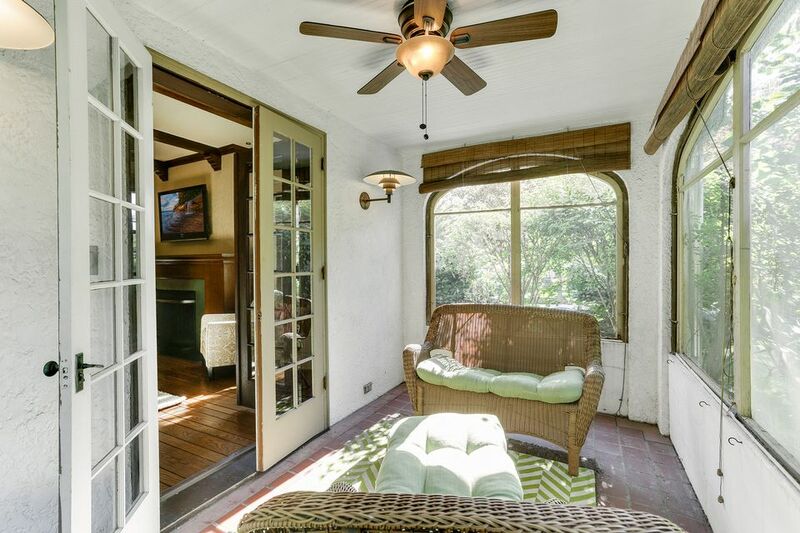 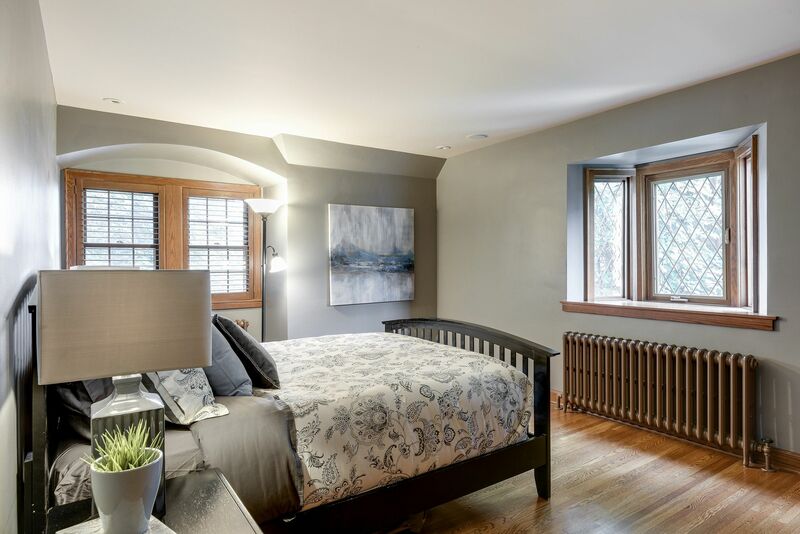 Gorgeous wood floors, arched doors, wired for sound, plus beam ceiling in living room. 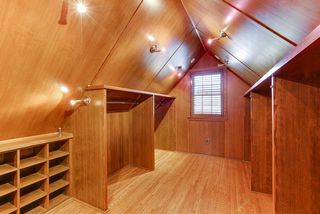 Custom walk-in closet with shoe storage. 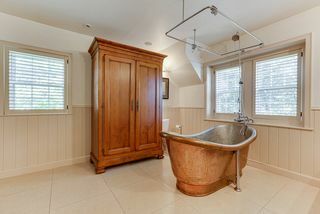 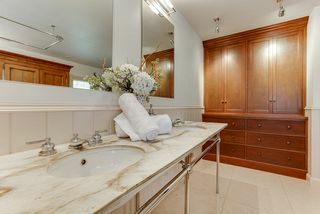 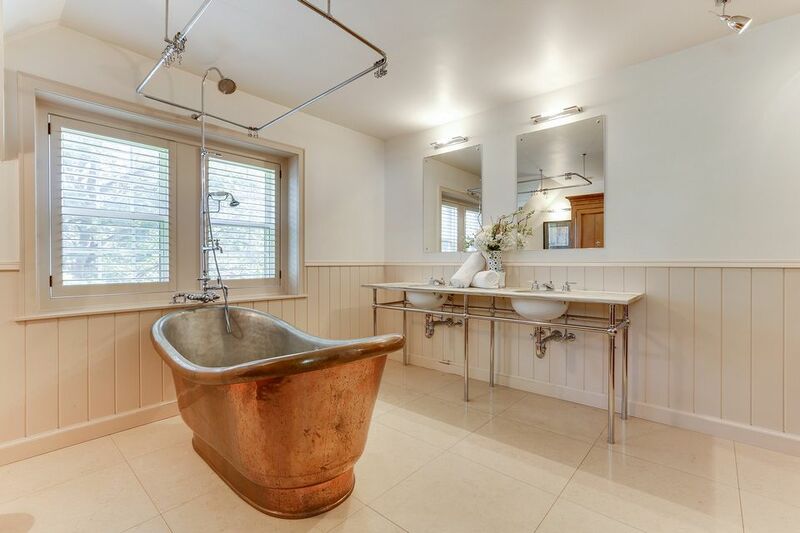 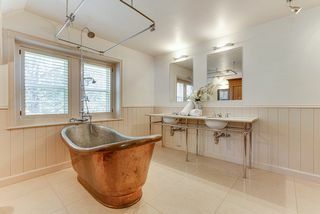 Huge waterworks bath with copper tub, marble double vanity. 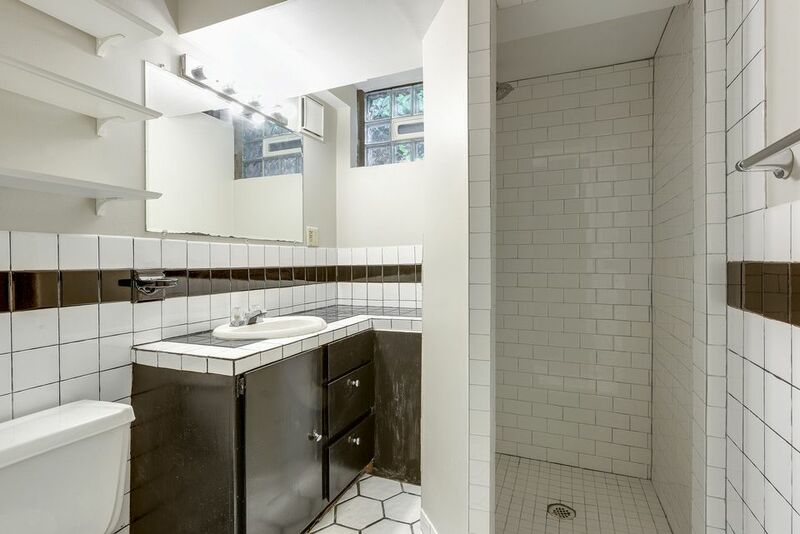 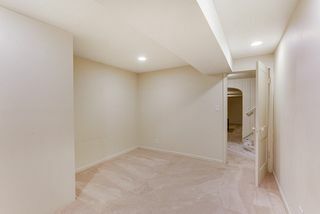 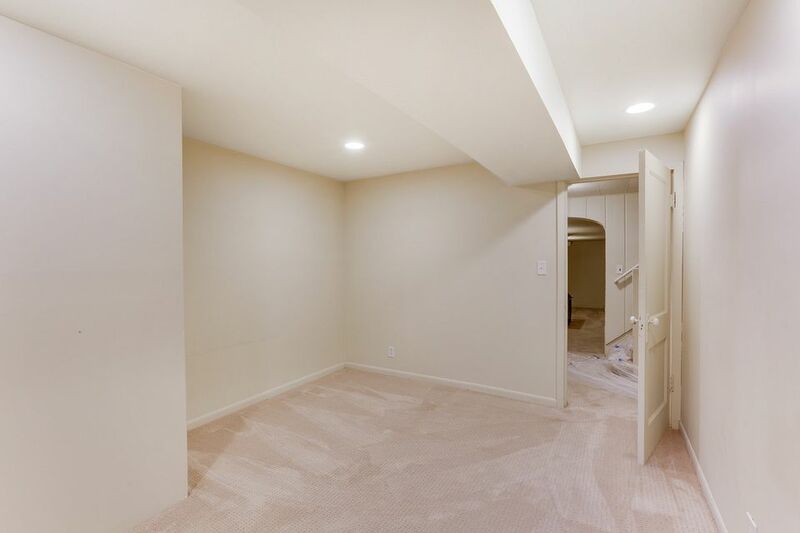 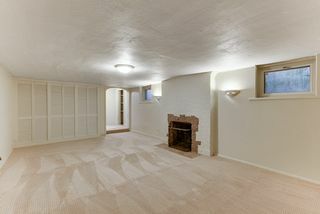 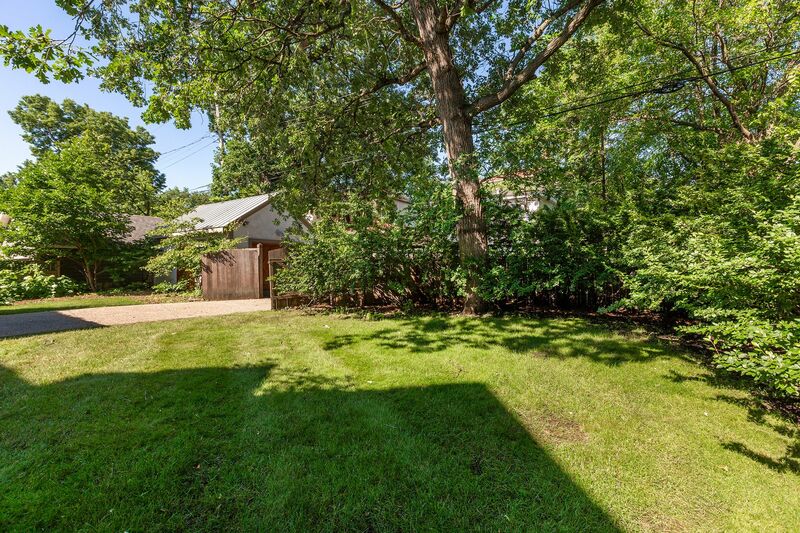 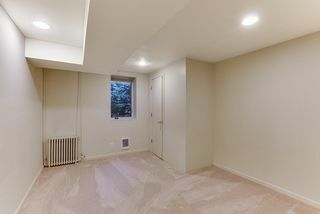 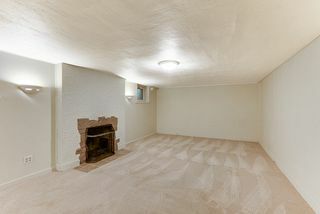 Finished basement with large family room, bedroom, 3/4 bath. 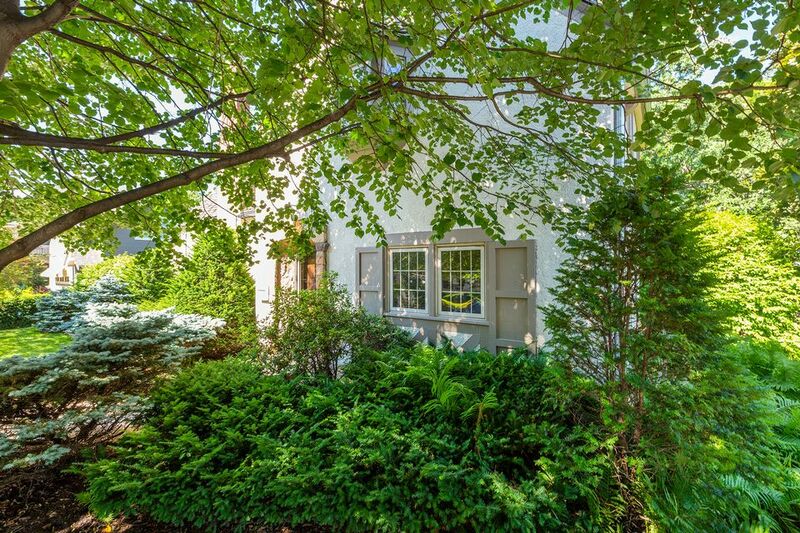 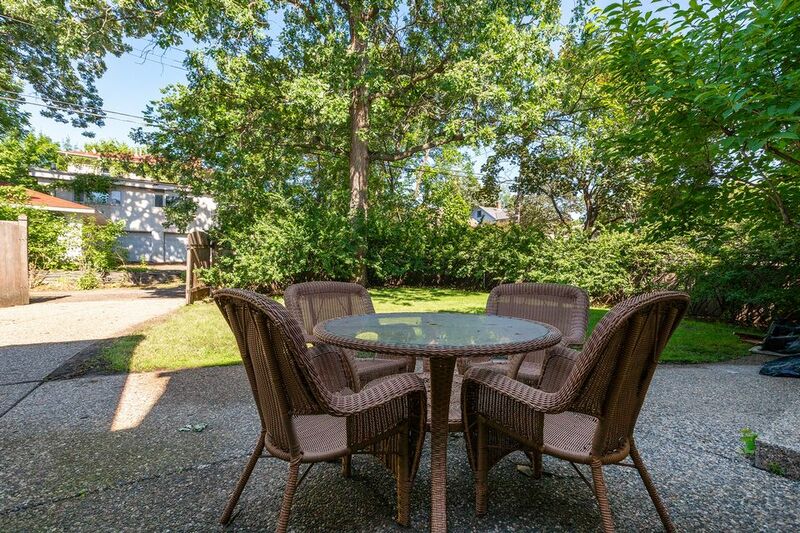 Porch and patio surrounded by beautiful landscaping in private yard. 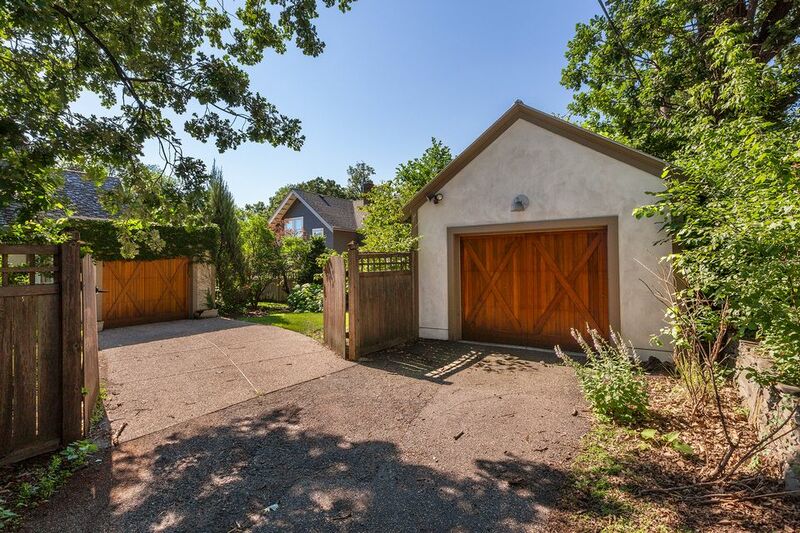 Two detached garages. 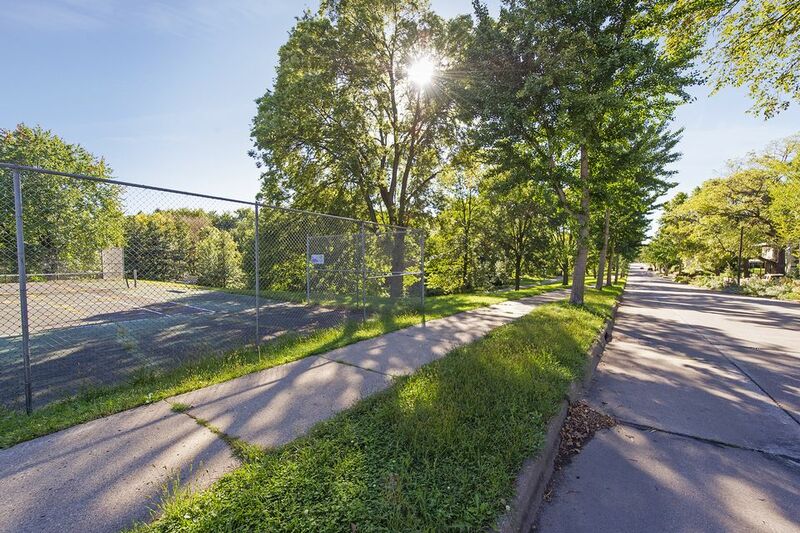 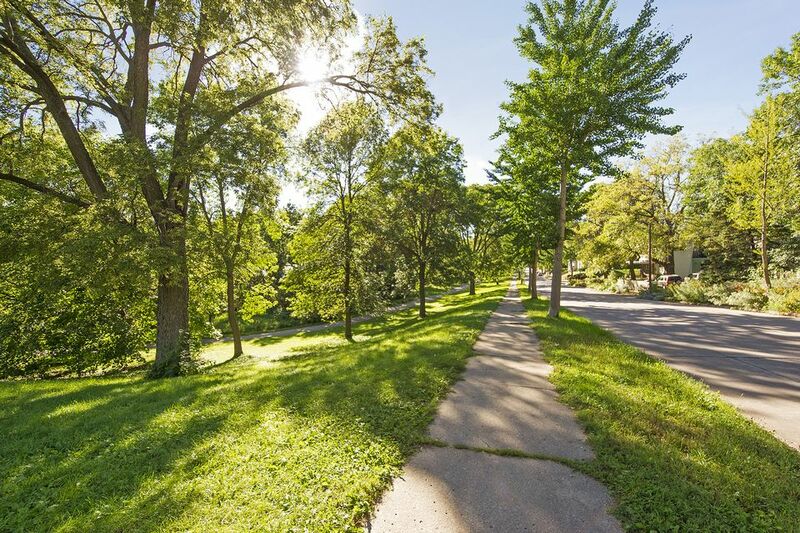 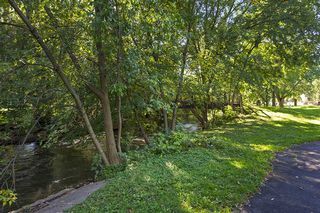 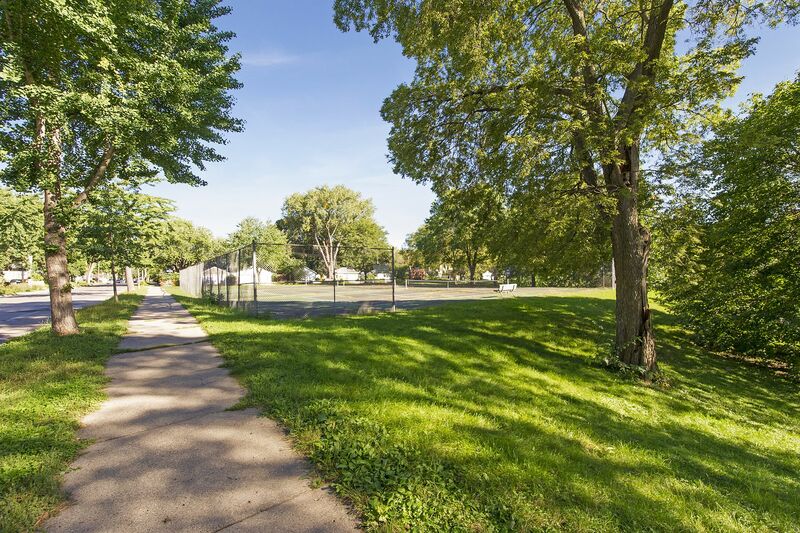 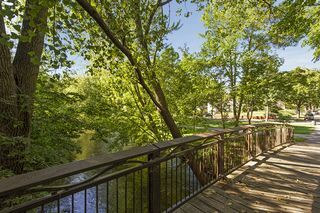 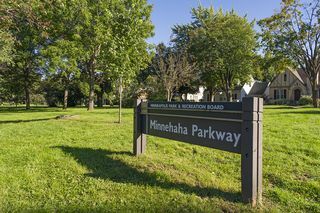 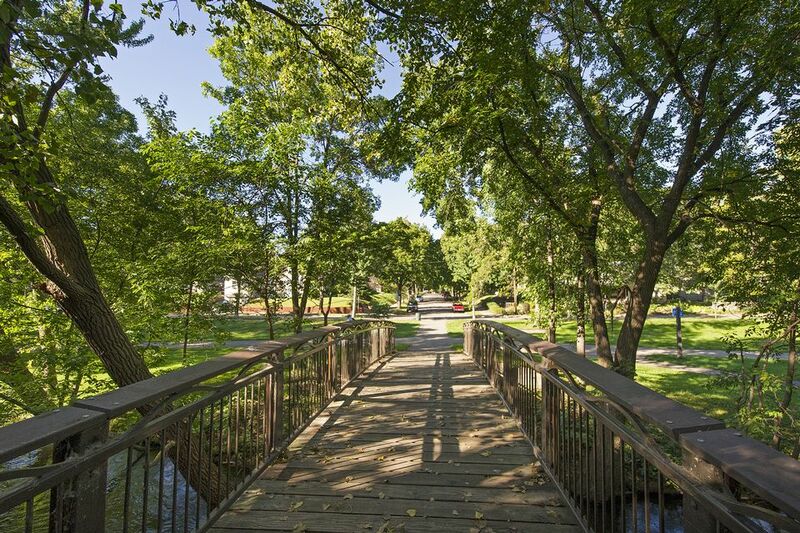 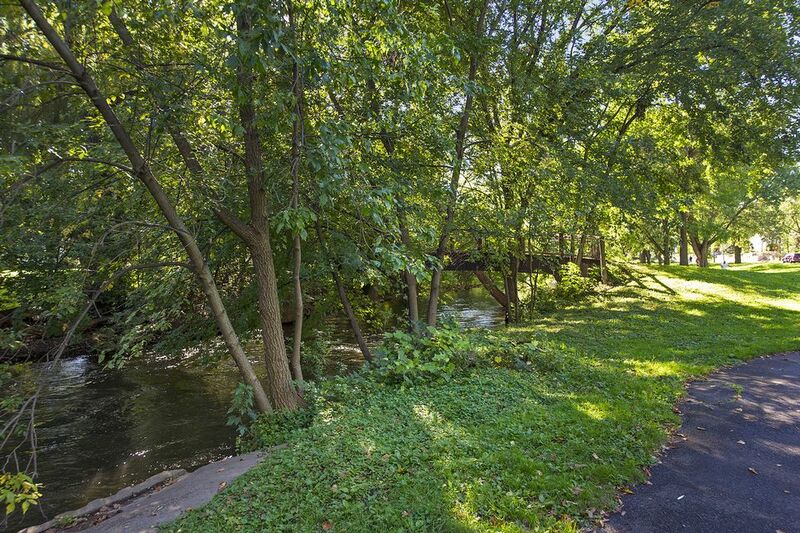 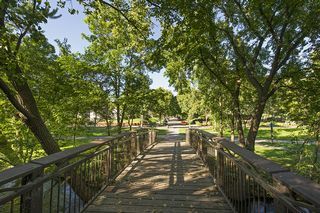 Nearby park.